Today is a good one, I’ve been working on this macaron recipe for a while now to get it right and I’m pleased to finally be sharing it with you all now. Mix the icing sugar and ground almonds together thoroughly until you have a fine, even powder. Sieve and set aside. In a saucepan, bring the water and the caster sugar to the boil. Use a thermometer to ensure that the temperature of the syrup does not exceed 110ºC. This is very important. Whisk half the egg whites until they form soft peaks, not too stiff. Decrease the speed of the whisk, then, still whisking, pour the sugar syrup over the egg whites in a thin line. Continue whisking until the mixture has almost cooled, this will take a while and will be easier in a food mixer. Mix the other half of the egg whites (unbeaten) with the sugar and almond base to get a thick paste. Add the food colouring to the almond paste, this allows the colour to be mixed in well without overworking the meringue mix (as this can sometimes have disastrous consequences). Then add the violet flavouring. Add a little of the meringue to the almond paste with a flexible spatula and stir in with regular motion from the bottom towards the top and from the edges towards the centre of the bowl. Add the rest of the meringue in one go and mix in gently. This is a crucial step: it is the art of making macarons. 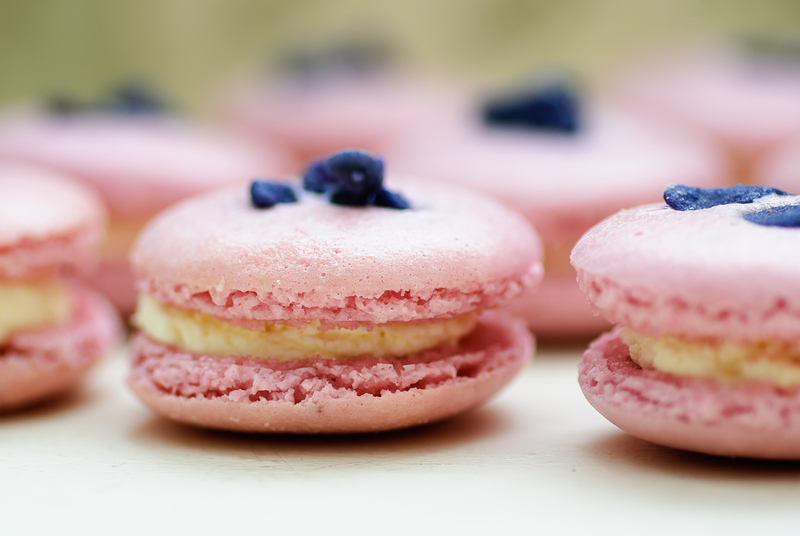 The consistency of the macaron mix should be smooth, even and runny. Fill a piping bag with macaron mix and pipe small even discs of mix on to a tray covered with grease proof paper. Add crystallised petals to the top of half of the shells (you may want to choose the best half for this….heehee). Lightly tap the bottom of the tray on the work surface to remove any small air bubbles. Put the tray aside for 1 hour to allow the shells to dry, then bake in a preheated oven for 15 minutes at 145ºC (or fan assited oven 125ºC). Immediately on taking the macaron shells out of the oven, slide the greaseproof paper on to a lightly dampened surface. This will stop them over cooking and make them easier to remove from the paper. The shells should be smooth and glossy with a good colour. Whisk the double cream and vanilla extract in a bowl until it thickens sufficiently. Fill a piping bag and squeeze a good amount on to the bottom layer shells and the sandwich the upper layer on. You have combined two of my favorite things: candied violets and macaroons! The only problem is that they look too pretty to eat. 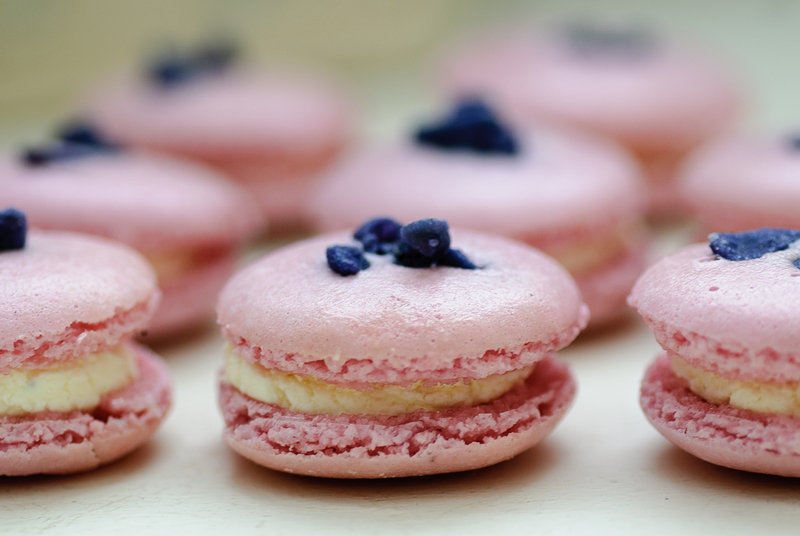 Having made macarons before, know HOW labour intensive they can be…yours look lovely too! They are so pretty. I want to eat one! These are absolutely gorgeous! I adore macarons but have never been brave enough to attempt them myself. Most impressive! Wow, these are beautiful! Love the color combination! What a way to come back! Just ordered brekky, but wish I could have these instead! Yummy…. These are beautiful and look delish! They look almost too good to eat. These look beautiful and delicate! So unique and beautiful and I can just imagine how incredibly delicious they are! These look so beautiful…I love the color! I really need to give these a go. My mother is a big Parma Violet fan so I’m sure these would go down a treat back home. They look so beautiful as well! I love macarons! You`ve done a fantastic job on yours! I`ve tried so many, but really adore salted caramel the best! Really?! You made these…. they look amazing!!! Those look amazing. Love the color and the addition of the violet. have you tried Sur la Table? think i sourced it there. I had a look on there on your suggestion but they must have sold out. I decided to buy it from https://junipercakery.co.uk/ Their cheapest international shipping is £8.80 but their products are quite reasonably priced so I got 5 things in total and the shipping came out as £12.50. Oh sorry sur la table was a dead end. 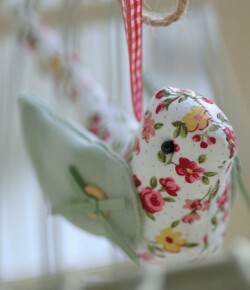 I am in my kitchen in guernsey at the moment (so cant check my US product labelling- i may have brought it from uk!) but I make lavender and Parma violet macarons. I blend the Parma violet sweets with the almond meal and powdered sugar. Good luck with the UK supplier. Ah no worries. The macaroons sound amazing. I would never think to blend the parma violets. At The Alchemist I had a cocktail called Flower Sour which was a blend of rose liqueur, violet liqueur and lavender foam. It was very good! I am looking forward to trying these…have a great summer! What a wonderful recipe. And so beautiful too! Hi there. I passed along the ABC Blog Award to you. No need to accept, but I nominated some blogs I enjoy reading. I love yourr blog and am eager to read your future posts! Oh gorgeous. I have some violet extract so will make a note of these.